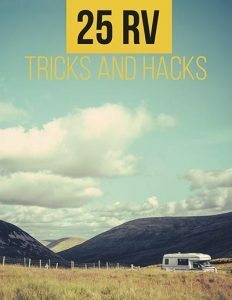 One of the first lessons you learn about RVs is that they requires organized and regular maintenance. A simple RV preparation checklist is the perfect way to get your rig ready for it’s first road trip of the season. Some RV owners camp during every season, while others only use their rig in the summer and store it all through the winter months. 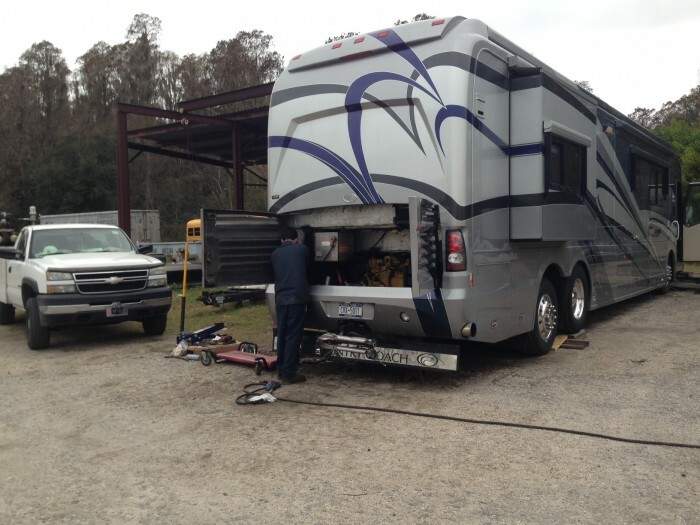 No matter how or when you use your RV, spring is the perfect time for annual maintenance and systemized checks. In most cases, spring weather is a safe time to work on your RV without the fear of a deep freeze. If you stored your RV throughout the winter you probably took certain steps to winterize and prepare your rig for cold storage. If that was the case, the first step in the spring is to reverse this process and gear up for active use. Batteries are a great place to start your spring spruce up. Batteries lose up to 10% of their energy per month when in storage and not in use. It’s important to make sure your batteries are fully charged your batteries and have the correct water levels (check your battery manual). 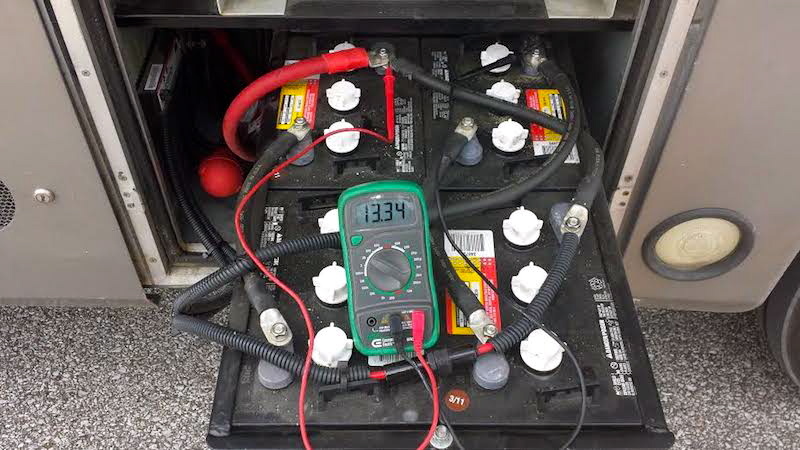 If the batteries were removed for storage make sure they are reconnected correctly. Remember! Batteries can be dangerous. Take every precaution, and if you aren’t comfortable messing with them have a service engineer do the process for you. You probably winterized your water tanks before putting your RV in storage. Now it’s time to de-winterize and check for any leaks that may have occurred. This process takes a bit of time, but will save you a lot of hassle down the road. Connect one end of your drinking hose to city water and the other to the RV. Run the water continuously through the entire system. You want to remove every trace of the non-toxic RV antifreeze you used to winterize. If you have an outside shower hose, be sure to flush that as well. If for any reason your fresh water tank had antifreeze added to it you will need to drain off any remaining water from the tank. Next, add fresh potable water and turn the water pump on. Open every faucet in your RV and keep the water running until the water runs clear. Once clear water appears you can turn off the pump and close the faucets. Fill the water heater tank with potable water and flush that system out with fresh water. There should be no remnants of antifreeze in the system. Once the system is completely flushed you can replace your water filter cartridge if you have one. Now it’s time to check for leaks. Grab a flashlight and turn on the water pump. Wait until the sound of the pump stops. 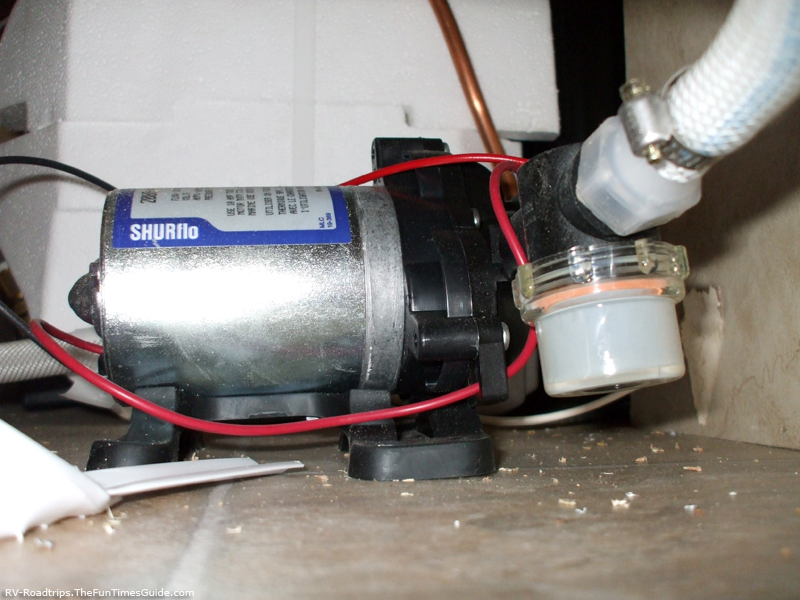 Once the water pump stops and the water is pressurized you can turn the pump off and begin your search. Look underneath your sink cabinets, around the toile,t and inside your basement compartments. Anywhere water might flow you want to watch for potential leakage. Take your time with this process. If you locate a leak be sure to have it repaired before you leave on your first trip of the season. This is also a good time to sanitize the water system. Close all the drains and make sure drain plugs are in. Use a quarter cup of household bleach per 15 gallons of fresh water (if your water tank holds 30 gallons you will need a half cup of bleach). 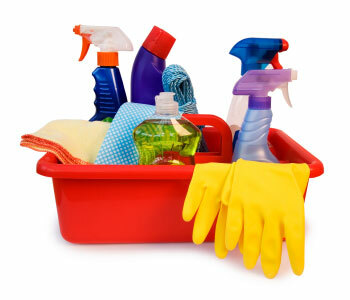 Combine the bleach with fresh water in a gallon container and then pour it into your partially full fresh water tank. Fill the water tank completely. Turn the pump on and let the water run through the faucets. In a short time you will begin to smell bleach. Close the faucets and let the tank sit overnight. In the morning, drain all the water from the tank and fill it with fresh water. Turn the pump back on and let the faucets run and run until you no longer smell bleach. If necessary, you may want to repeat this process over the next couple of days. Completing this process will give you peace of mind knowing that your water is clean and fresh every time. 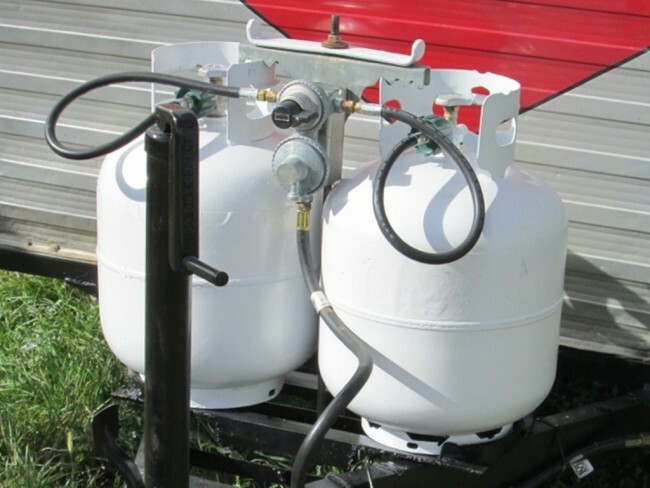 If your RV uses propane (Also called LP gas) you need to check the tanks, the connections, the valve and the firing operation. Propane is often used to operate the hot water, the fridge, and the stove. If something isn’t working correctly have your system checked by a professional. Make sure to have a leak test and a gas pressure test each year. You want to be sure that this highly important system is working safely. If you have refillable propane tanks check the dates on the tanks. 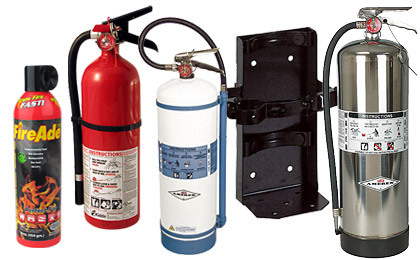 Most people are unaware that their propane tanks expires and must be re-certified for safety. Check yours annually. Once your propane appliances are in compliance spending some time checking your microwave, air conditioner, fridge or any other electric appliance in your rig. Make sure you plug into a solid source of 30 or 5- amp power. 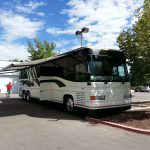 Many people choose to park their RV at an RV park while they test out their systems each spring. 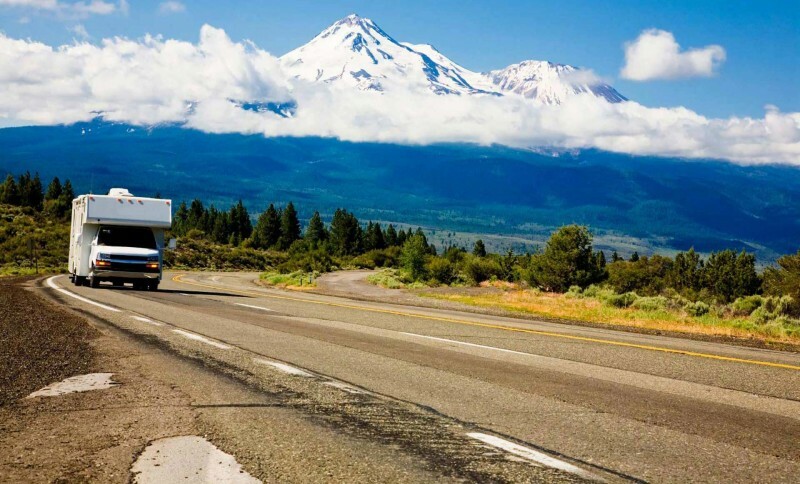 Tires are a hot topic in the RV industry. Some companies say RV tires should be fully replaced every 5 years. Others claim that if properly cared for they can last 10 years. Either way, you must check your tires to be sure they are ready for the season. 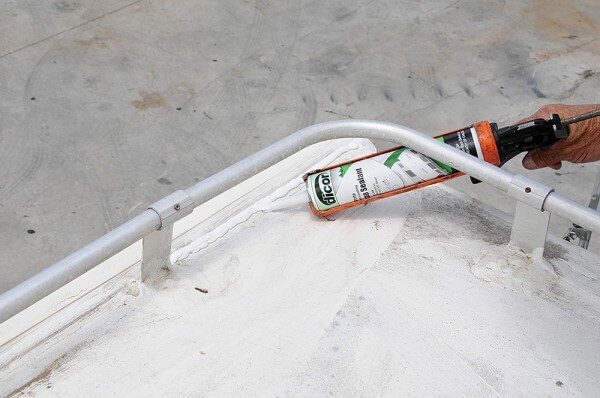 Your entire home relies on the safety of these wheels, so give them the attention they deserve. First check the air pressure. While in storage tires loose pressure. Check your manual and fill each tire according to the recommended PSI. Inspect each tire for tread wear and cracking especially in the sidewalls. If you have any concerns, be sure to have a professional inspect the tires prior to leaving on a trip. Don’t let blow out happen to you. Check those tires! Now we are ready to tackle the engine! Yup, the all important part that gets you where you want to go deserves some attention too. If you have low fluids in one area this may indicate a problem or a leak. Take some time to figure out what is happening to the fluid. You will want to service your engine and the fluids on a regular basis. If you have been doing that and you have an issue, be sure to take it in to be looked at before you leave on a trip. Now check all of your gauges. Are they giving accurate readings? Check all your lights. Check the lights on your trailer and the connections between your RV and your trailer. Check your registration, insurance and vehicle emissions sticker. Is everything up to date? If not, stop what you are doing and go get it done! Your generator has been off for a long time and will need to be served according to the manual. Make sure the oil level is correct before you attempt to start the generator. If you didn’t store it correctly, you may have trouble restarting it. Inspect the exhaust area before starting. Do you see any problems? If not, start the generator and plan to let it run for a couple of hours. It doesn’t have to be on full load, but it needs to run for a while to get the engine ready for the season. The last thing you want is to travel without a generator. Take the time to make sure everything is working properly. Most people forget about their RV seams. This is a mistake you don’t want to make. Each and every seam has leak potential. If you inspect and reseal the seams one or two times a year you are less likely to have a leak. Start by inspecting the roof and moving down over the body of the rig. Look for any openings, cracks or forms of damage. Is there any separation? Is there a specific area that shows wear? Use RV compatible sealants and research which type of sealant is best for the material you want to repair. If your roof shows wear you may want to consider having it professionally resurfaced and sealed. Ask your local RV dealer for their personal recommendation. If you plan to work on the roof yourself, please be careful. These 7 steps are an essential part of preparing for a safe road trip. Don’t skimp. 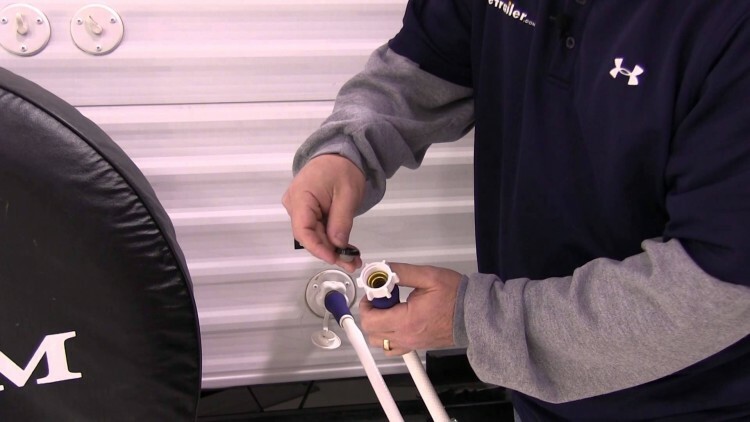 Take the time to inspect each part of your RV’s system. If you are unable to do the work yourself, book a spring session with a recommended RV technician. You may not have time to do every step listed, but this list gives you an idea of what may be needed. Every RV will be different. The key is to set time aside to prepare for the RV season. Don’t wait until the last minute and skimp on your safety. If you’ve completed this simple RV preparation checklist you know you have done everything necessary for a great trip. What about you? 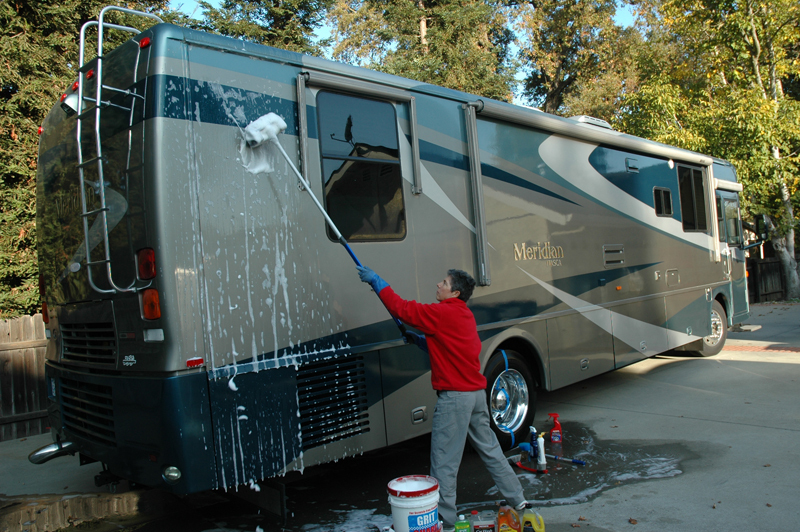 Do you have certain items that you think should be placed on the RV preparations checklist? Are there items that you check on your rig that are not listed above? Share your best tips and tricks to help others. Like this article? Please share it. Send it to your friends, family, or social groups. Tweet it, pin it, like it, share it. Thanks so much.